Drawn from the permanent collection, this exhibition highlights the museum’s founding collections of historical Indigenous art, depictions of the California desert, and contemporary art inspired by the physical and cultural environment of the state. Focusing on the practices of artists, Lines in the Sand juxtaposes the historical with the contemporary, revealing continued affinities and shared perspectives across time. 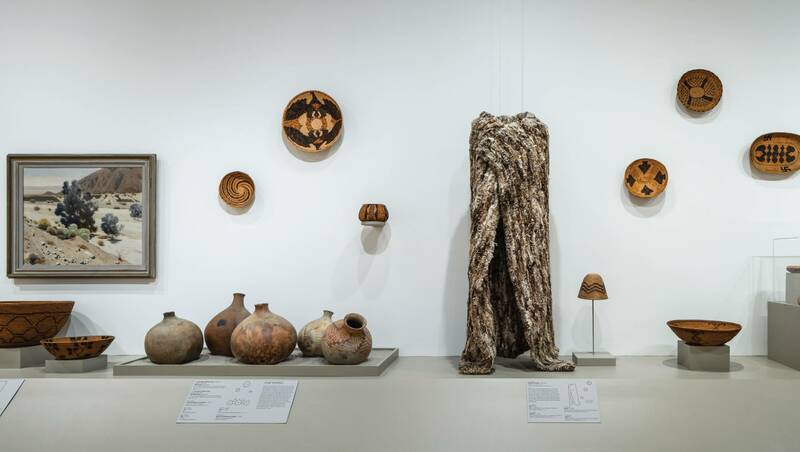 The Museum’s renowned collection of Cahuilla and Native American baskets and ollas (vessels) are presented in depth, highlighting aesthetic connections between the region’s natural materials and the designs on view. Works by contemporary artists Gerald Clarke (Cahuilla) and Cara Romero (Chemhuevi) introduce a new perspective illustrating a continuum of ingenuity and creativity that characterizes Native American art while directing our attention to critical social and environmental issues facing our world today. Visionary desert painter Agnes Pelton’s work from the 1930s-40s is shown in proximity to the work by California Light and Space artists, illuminating a shared interest in transcendent light. An abstract landscape of the San Jacinto Mountains by Eva Slater from 1960 featuring undulating woven forms is shown in dialogue with Native works, pointing to shared aesthetics and intersecting histories. This exhibition is organized by Christine Giles, Curator, and David Evans Frantz, Associate Curator. 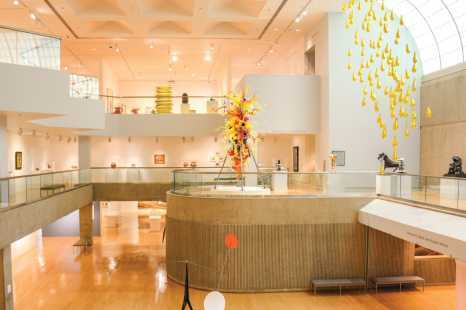 Support is provided by the Mary Ingebrand-Pohlad Foundation and the Terra Foundation for American Art through Board Member Gloria Scoby.